Fringed Pennant, which can be used in many different areas, is generally preferred in Sports Clubs, Associations, Foundations, Educational Institutions, Colleges and Organizations. These products, which we call as Triangle Fringed Pennant or Pentagonal Fringed Pennant, are long-lasting, and are also called as Presentation Pennant because they are presented as souvenir. 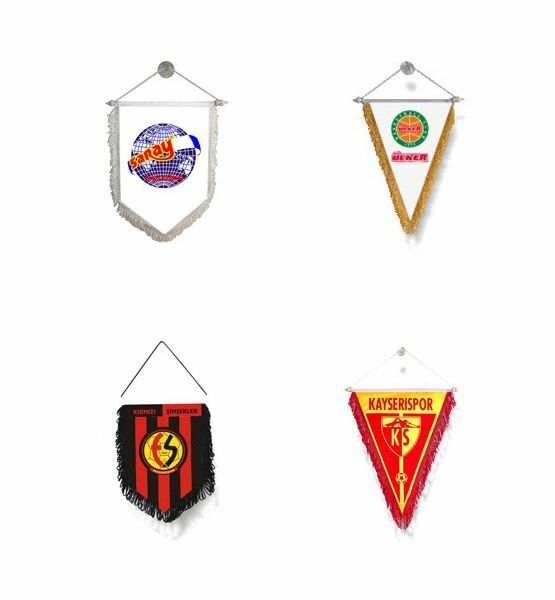 Fringed Pennant, which is a type of flag that can be also used in all kinds of Sports Competitions, Association Organizations, and in the activity areas of Official Institutions, is among the most preferred products. You can ask for any kind of printing on the fringed pennant from us. You can display either your personal or association logo or your trademark on this pennant. 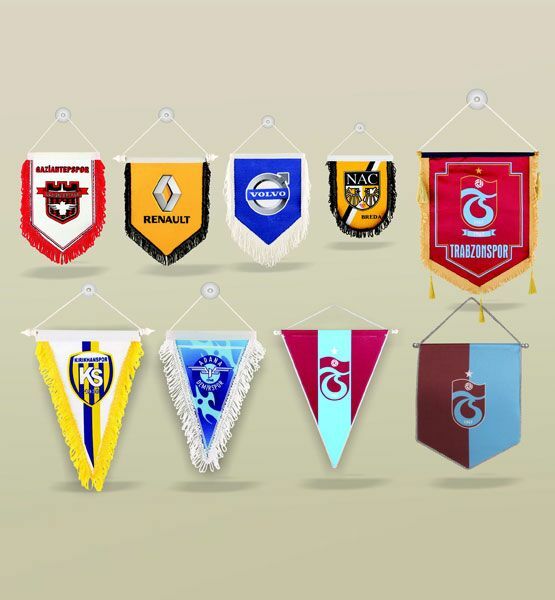 We, as Seçkin Bayrak, are preparing all your Fringed Pennant orders as soon as possible.